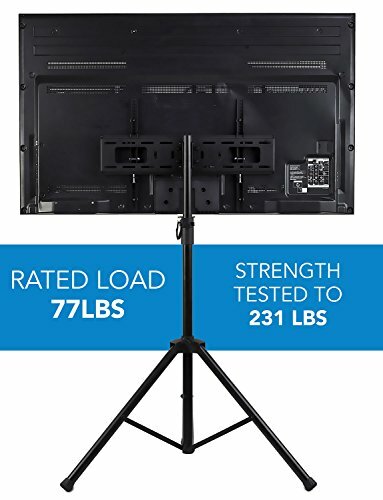 PORTABLE TV FLOOR STAND. 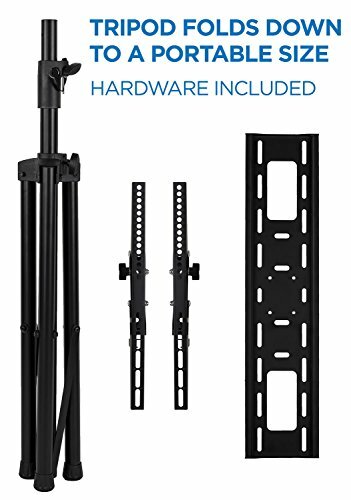 This tripod TV mount is the perfect solution when you need a portable version of a mobile TV stand, TV cart, or outdoor TV stand. Ideal for home use both indoors and outdoors, as well as commercial and industrial applications. No need to drill holes on your walls or to purchase costly carts. UNIVERSAL COMPATIBILITY. 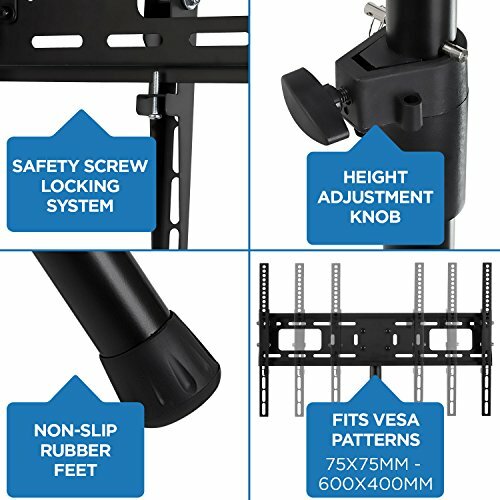 Adjustable TV bracket is compatible with all TV models that have standard VESA patterns. 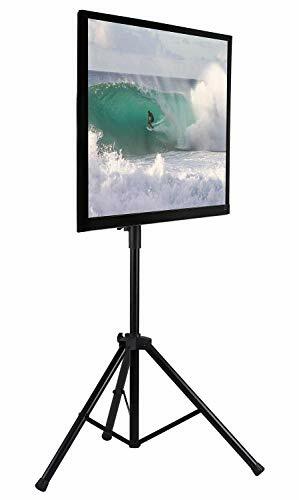 Works with 32, 37, 40, 42, 47, 50, 55, 60, 65, 70 inch LCD, LED, OLED, and Curved Televisions. Compatible with VESA patterns 200x200, 300x300, 400x200, 400x400, 600x400 (mm). SOLID STEEL CONTSTRUCTION. 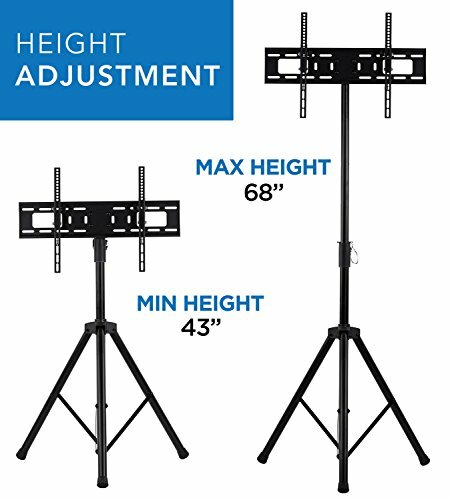 Floor-standing TV pole mount easily supports up to 77 lbs. 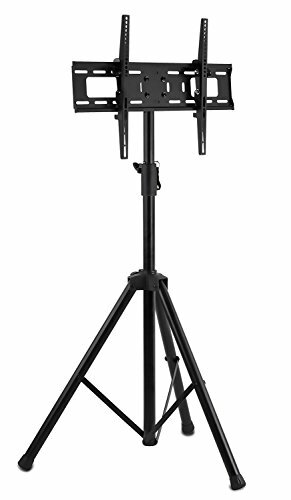 The foldable tripod legs have a wide base and non-slip, rubberized feet for dependable stability. HEIGHT ADJUSTABLE TV STAND. 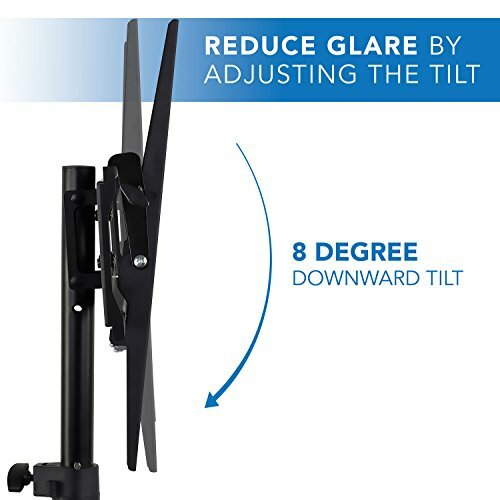 Telescoping pole can easily be raised and lowered for an adjustable viewing height from 43" to 68" and 8 degrees of downward tilt to reduce lighting glare. QUICK TO ASSEMBLE AND DISASSEMBLE. 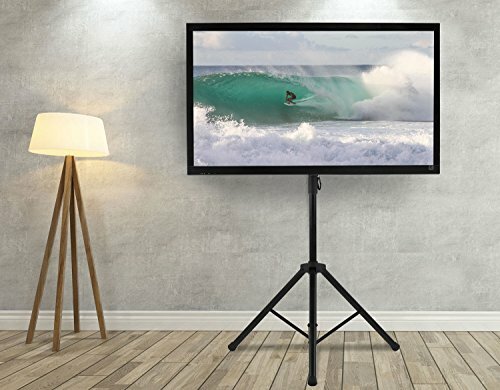 Easy to transport and set up, this portable display stand can be used for conference rooms, tradeshows, schools, or even movie night in your backyard.